Sharing His Wisdom and Passion for Ayurveda. Ayurveda is an ancient healing art originating in India. Ayurveda developed over 10,000 years combining ancient wisdom, herbal remedies, yoga and lifestyle guidlines. John Holmstrom is a leading professor of Ayurveda in Los Angeles. Accurate diagnosis and an understanding of the Marma system means accelerated Ayurvedic healing. is easy to learn and returns lasting results. The key idea is finding balance within your own body, environment and lifestyle. Yoga spread quickly throughout the world, as did ashrams that guided followers on a path to health, happiness and wisdom. Ayurveda is a complex system of treatments, and has only recently gained popular support -- most often as a style of massage. Diagnosis and treatments for illness or imbalances requires specialized training and few healing centers in the United States offer it. John Holmstrom has a passion for natural healing and wellness. Even at a very early age, John knew there had to be a way to heal the huge numbers of people suffering from chronic diseases in the US. He could see that much of it was self-inflicted, and that most didn't realize they were literally "killing" themselves. John was well ahead of his time. Only a few saw diet and relieving stress as a major component of healing. Always looking for a solution, John explored other cultures and healing systems. John learned of Ayurvedic Medicine when he moved into the kundalini yoga ashram of Yogi Bhajan in 1972 in Los Angeles, California. Vata is the quality of "wind or air"
When Vata is out of balance you feel nervous, high-strung, unable to concentrate and "flighty." Ayurveda basics are fundamental and easy to follow. You are a combination of the three “Dosha’s” named “Vata”, “Pitta” and “Kapha”. and kapha is water and earth. Pitta is the quality of "fire or luminosity." When Pita is out of balance you feel angry, frustrated, and easily annoyed. The combination of these three qualities of vata, pitta and kapha is unique in each individual. Each person's unique Dosha is like the genetic code or DNA. and out of balance results in symptoms and dis-eases. of a fever and hot burning sensations. Kapha is the quality of "earth and water"
When Kapha is out of balance you may gain weight, feel apathetic, tired or prone to congestion. You are not separate from your environment or the seasons or the food you eat. Your disposition or attitudes also affect your constitution and your health and well-being. Ayurveda is an all-inclusive system that is simple to follow and implement. Food is a drug - and you can produce health and happiness -- or illness and dis-ease with the foods you eat. In search of this potent healing system. Shiva means "auspiciousness and wellbeing"
Shiva is the creative and reproductive power of the Universe. In 1976, John Holmstrom traveled throughout India to study yoga, Ayurveda, and to meet with doctors like Vaidya Chandrashekar Thakkur. He then studied ayurveda, chinese medicine, and arabic and greek medicine with William Lessassier, N.D. and recieved a practitioner certification from him in 1978. Ayurveda was the answer he had been looking for - a way to heal imbalance and a system of knowledge to live a long, naturally healthy, enjoyable life. The remedies were principally, an oil massage, diet and herbs. Disease was not a villain that attacks the innocent - but more often a self-fulfilling prophecy of lifestyle choices and stress. The word Ayurveda means the "science of life." Herbs have a wide variety of healing properties. Natural herbs and spices produce healing results with few side affects. 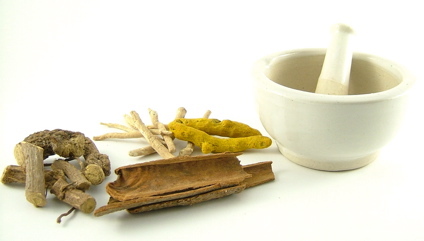 Many Scholars consider Ayurveda to be the oldest of the healing sciences. Indian Vedic healing texts date back more than 5,000 years and the written texts were preceded by a very long oral tradition of masters passing down their wisdom to students. For many thousands of years the remedies and philosophy evolved and spread to other cultures. Homeopathy and polarity therapy, among others in oriental medicines, use these same Ayurvedic principals today. more than just the "science of life." The primary focus of Ayurveda is on prevention and the maintenance of health through right attitudes, diet, lifestyle choices, exercises (yoga) and the use of herbs. through the use of herbs. The physical, mental and emotional characteristics of each person determines their "type" and it remains constant throughout their life. 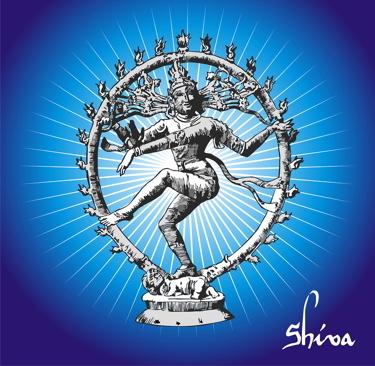 Shiva - destroyer of ignorance and bad habits. The Source, the eternal dance of the Universe. 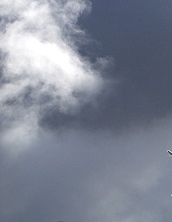 Balance is upset by stress, diet, seasons, trauma and working conditions. The imbalance results in dis-ease and can only be corrected by bringing the "organism within their environment" back into harmony. Wellness is a lifestyle and illness requires balancing. In contrast Western allopathic medicine focuses on symptoms and disease and uses drugs and surgery. Although Ayurveda used surgery - even in ancient times, Ayurveda does not focus on disease but instead on the energy imbalance that has caused the stress in the body. Once in balance then the body's own immune system can heal itself. The ancient tradition of learning from masters. For six years John Holmstrom lived in India, traveling and studying with dozens of Ayurvedic doctors at their centers, clinics and hospitals. John wanted to bring this information home, and arranged for doctors and nurses to study with Vaidya, Dr. Bhagwan Dash (author of over 90 books on Ayurveda). 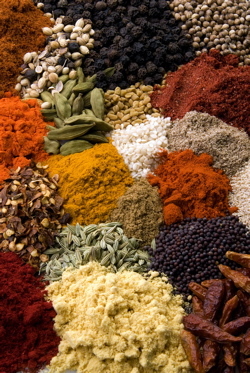 Traditional India spices are used in treatments and prescribed in diet. 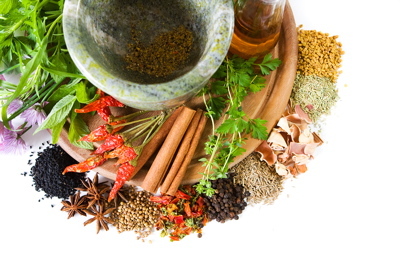 Herbs and spices heal a wide variety of ailments - and naturally with minimal side affects. John discovered that only a few of the Ayurvedic doctors he met really understood the traditional Marma pulses and diagnosis. In India it was customary for the patient to spend 4 weeks in treatments - so there was no need to be fast and accurate. A fast paced western lifestyle doesn't often include a month-long leisurely healing retreat. John Holmstrom knew that for Ayurveda to be accepted in the West, it must include quick, accurate diagnosis and treatments that led to rapid improvement. 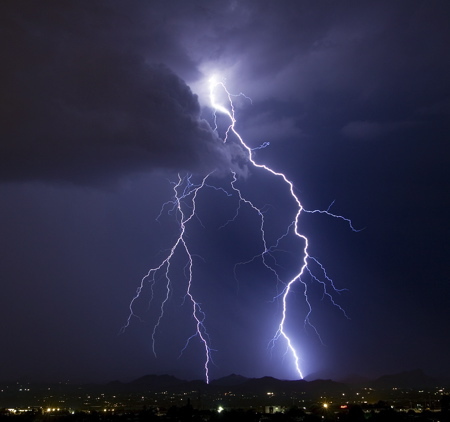 John began forming a system to offer and teach just that. Fascinated by the efficacy of the herbal remedies, John traveled India and collected over 125 different types of ayurvedic herbal plants. He grew thousands of these plants to use in preparing Ayurvedic teas and medicines. More training in natural healing and American credentials. 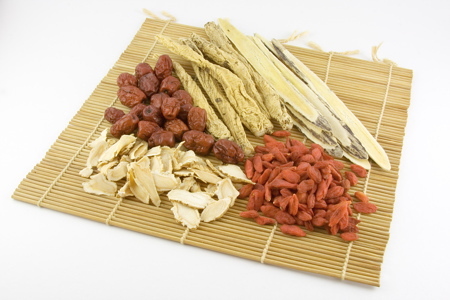 Chinese acupuncture is similar to a Marma diagnosis and many Chinese herbs are found in Ayurveda. Both use the key energy points in the physical body to relieve stress and release toxins. John Holmstrom is also an excellent acupuncturist. Ayurveda was new to the West and certifications hadn't been established. In 1997, John graduated from Samra University of Oriental Medicine becoming a diplomat and licensed acupuncturist and herbalist in both California and Colorado. For the past 11 years, John practiced Ayurveda at over 25 different establishments including We Care Health Retreat, Aqua Caliente Resort, Broadway Sports Medicine, Alan Edwards Spa, Exhale Urban Ayurveda, Surya, and L'Auberge Hotel Spa. Ayurveda is currently the hot health "flavor of the month." Ayurvedic massage works on many levels. Traditionally a healing massage in done by two practitioners using warm oil and herbs and working in tandem in a specific design. Offered at many spas, Ayurveda has gained popularity as people discover its many healing properties. Any massage with warm oil that ends with Shirodhara is often considered "Ayurveda." That is also true in India and SE Asia. Simple Ayurveda is still beneficial - most massage is. Without good diagnosis and a treatment designed specifically for a person, the treatment can not produce the deep healing and cleansing it is famous for. Few in the West have had the experience of restoring their vitality and inner calm through Ayurveda. Many people want only a massage and not deep cleansing. Once the toxins are released, then the body must rest and remove them. Until the toxins are discharged, real healing is not likely to occur. Treating symptoms is a loosing proposition if the patient continues a lifestyle that is stressing and toxic to their body. Most don't realize that they are the source of their own dis-ease. Herbs and spices can be used fresh, dried or in essential oils. The skin absorbs the natural remedies in the warm oils during the massage treatment. Upscale hotels cannot offer a "cleansing and detox" program that would upset their guests vacation - can they? Most spas operate on the same principal - if the client feels good - they'll return. Imagine spending a day in Rome -- vs. spending a month touring with one who knows the city. Both had the experience of "Rome" but they are different, aren't they? If you have had Ayurvedic treatments and didn't experience the deep calm and inner balancing - you have missed much of what Ayurveda can do for you. Generally a one to three day treatment is relaxing and calming, but it depends on your physical condition and your healing objectives. Detoxifying to heal a chronic condition is a retreat unto itself. 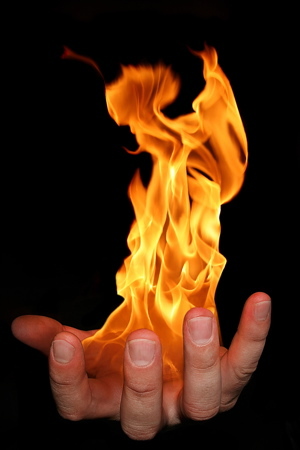 Releasing your bodies toxic buildup may be exhausting, cause diarrhea or temporary emotional imbalance. However that is far less stressful to the body than surgery or radiation or toxic chemical drugs, isn't it? John Holmstrom's "specialized style" of Ayurvedic treatments. Pancha Karma is a system of cleansing and rejuvenation for the body, mind and emotions. Whatever is out of balance may need intense detoxing and releasing. The more chronic the condition the more time is needed...and the more rest and restoring time is needed before proceeding. Deep cleansing from years of stress and poor nutrition may take several sessions, paced at the clients ability and time available. 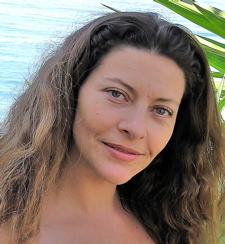 "I came to John's Ayurveda workshops as a client after a long chronic illness. Overweight, fatigued, and rapidly aging, I had tried many different healing systems. Most helped a little, but I wanted my energy and full vitality back. Restoring my health required detoxing and eating the Ayurvedic diet for my "type." I used herbs and panchakarma treatments. I soon regained my balance. In contrast, I had over 30 treatments in India, most at Kerala's largest Ayurvedic hospital. Not once did anyone take my pulse or diagnose or treat my lung condition. I don't know anyone else able to design and execute a healing session as John does, that works each time, every time to relieve symptoms and pain. I've gone in with the flue and come home sleepy, but healed. I’ve had jet lag, and coming down with the “airplane crud” and ONE session stopped it. I've been in two car accidents with whiplash and both were successfully treated with John's style of Ayurveda. I've been through personally stressful challenging periods - and treatments with John Holmstrom released the trauma and restored a deep sense of calm and balance. I love massage, and an Ayurvedic massage with two or three people and warm oil is wonderful. Even if you are only seeking a massage - I recommend John’s Ayurveda as a healing session that goes to your core with deep cleansing and balancing. Why not try it? Every one I’ve sent admits, “There’s nothing like it.” John's diagnosis and treatments restore inner calm along with healing. Once you've had this revitalizing experience - nothing else will do! The benefits of an Ayurveda healing session or series of treatments. John developed a special system so that clients could detox and restore at a pace they could afford. Immersion in warm herbal oils works to draw out toxins. Two to three practitioners usually work for several hours. The system is traditional except that organic products are used. Instead of 28 days, a client may only do one to three sessions. Seven to Fourteen days are needed for serious detoxing - because the client needs the time to eliminate toxins from their body, eat to restore balance, and adjust to the healing process. Herbs balls are soaked in the hot oil and applied with a variety of techniques. 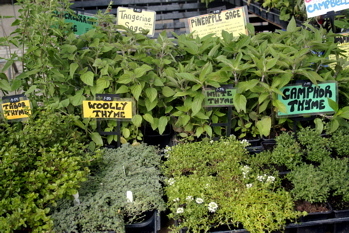 The herbs are chosen specifically for each client. Each session is designed for the client, BASED ON the all-important individual diagnosis. Then a plan is designed and carried out by two (or more) practitioners working together, with warm, organic oils and herbs and essential oils. There are a huge variety of treatments, and steam may also be used. Often Shirodhara ends the session. A two hour session is typical and the costs range from $350 up depending on the herbs and treatments. The organic products are expensive, the sessions require preparation and clean-up; and two (or more) to administer the treatments. Compared to the cost of hospitalization, surgery and drugs - the Ayurvedic costs are minimal - and the treatments restore balance...if the client maintains the detox and rejuvinated state. Ayurveda encompasses a wide variety of subjects. John Holmstrom realized that sharing his talent with clients was only a small part of his passion. One-on-one he could not spread this wisdom fast enough. He was a natural instructor - and knew the future for Ayurveda would be in the young practitioners. John compiled his vast experience into a teaching plan and program. There are many herbs that are used. Herbs are most often used in combinations and designed specifically for each client based on their diagnosis. John worked for alternative doctors, chiropractors, physical rehabilitation clinics, destination spas, alternative day spas, and destination detoxification retreat spas. After working all day in the clinics, John spent his evenings teaching Ayurveda - often six days a week. Beginning In 1999, John taught the first state certified Ayurveda certificate classes in southern California at the American University of Complimentary Medicine. He has continued to head the program and to teach over 10,000 hours of ayurveda classes and clinics. far in excess of the actual one is this. Professor John Holmstrom initiated one of the few training programs that included a student clinic - providing the students with the experience they needed to diagnose and treat clients. The low-cost clinic is also a god-send to the community, allowing many who cannot afford treatments access to John's diagnosis and the students treatment for a nominal cost. Michael Curren, A.M.P, first discovered Ayurveda while in India. He was cured of a digestive illness quickly and simply -- and drug free. He saw the potential of Ayurveda for reversing early-stage diseases. He trained with John Holmstrom and is an Ayurvedic Medicine Practitioner. "To me, John Holmstrom is the essence of Ayurveda. The vastness of his knowledge banks in biology, botany, and healthcare is matched only by his demonstrated capacity for compassionate service as a teacher, practitioner, and child of God. I consider myself very fortunate to have studied Ayurvedic Medicine from John, who teaches the science by utilizing all of the senses. Ayurveda holds that wisdom comes through developing understanding not only through the mind, but through direct experience—what’s referred to as prabhava—and John is a rare teacher who empowers students and clients that way. Working as an intern, I witnessed countless clients get their monthly treatments, take the herbs John prescribed, and come back with steady increases in vitality and positive energy, completely transforming into healthier, happier individuals. John is a rare and precious gift to anyone who is looking to transform their health by adjusting their relationship with nature." Michael Curren's N.E.W. 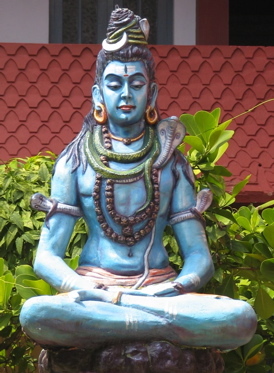 S.P.A. Ayurvedic is located in Ventura, CA. Michael also lectures on Ayurvedic diet and lifestyle wisdom throughout Southern California. John's focus is teaching a system of Ayurveda that meets the needs of a Western client's fast-paced lifestyle. 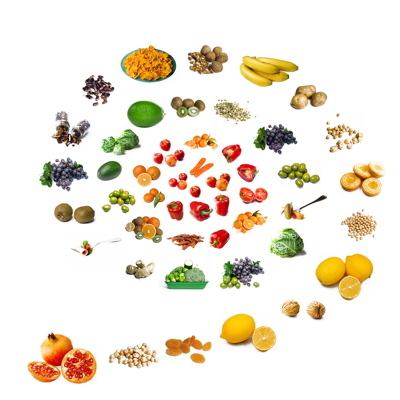 Diet and stress are major components of healing and an ancient Indian tradition would not be easily accepted in the West. 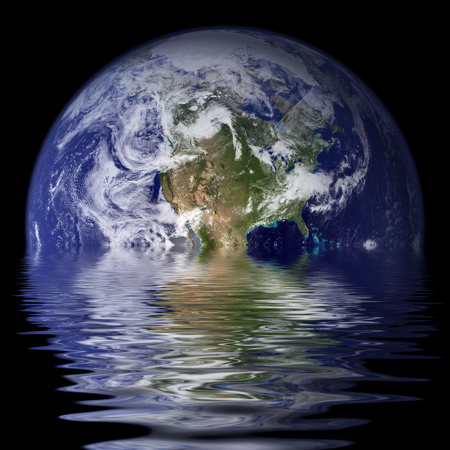 Climate and food preferences - and the differences - are also a factor. India is a rice culture. America is not. Ayurveda is worth the effort - healing results are usually amazing. 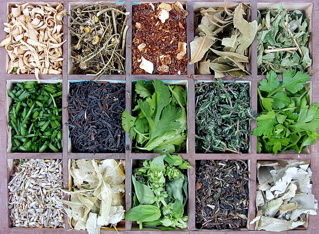 Herbal remedies are used in many combinations. Buy organic when possible (why add toxins?) and know your sources - use pure herbs for healing. Panchakarma's successful long history is due to it's consistent ability to restore your natural state of health, happiness and an inner sense of well-being. Modifying your diet and regular yoga or similar exercise is necessary to maintain a healthy future. Once your body is clear of toxic build-up, the mind at peace, emotions calm and happy, wastes efficiently eliminated and your organs are functioning normally -- you have found Health. John's passion for Ayurveda as a natural healing solution has been a life-long commitment. When not teaching or working in a clinic, John offers his services on an "ability to pay" basis to diagnose and give dietary guidelines to those in need. When time allows, he has discounted his introductory treatments to allow low-income clients access to Ayurvedic healing. 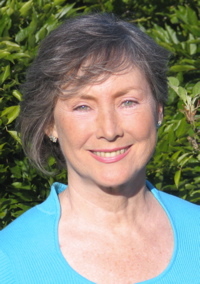 In addition to Ayurvedic studies, Suheila completed related Yoga Philosophy and Yoga Teacher’s training Certification courses at Loyola Marymount University, (Certifications: 500 hour Registered Yoga Alliance, RYA; Yoga Therapy, YT; and AYUR) and recently she completed advanced studies in Yoga and Yoga Therapy certification with Larry Payne, Ph.D., founding President of the International Association of Yoga Therapists and the Samata International Yoga and Health Institute. Suheila is fluent in Portuguese, English and Spanish. "I'm grateful to have had the honor to study and participate in a clinical setting with John Holmstrom as my loving teacher, guide and mentor for over four years. He gave me the challenge -- and opportunity of understanding Ayurveda. It is the great "forgotten" knowledge of life: Our own self as an integrated system in the web of life and as a part of the whole universe. John taught me that Ayurveda (the ancient science of life, over 10,000 years old) is definitely the most integrated, holistic and organic form of conscious and sensible understanding of dealing responsibly with the processes of health and disease. Professor Holmstrom's knowledge of Ayurveda is like a deep well that is always overflowing with wisdom and passion for healing others. I saw John Holmstrom competently diagnose and heal many clients at our clinic. He had the ability to direct and guide us through each session with integrity, professionalism and always the intent to heal. Every session produced good results for the client. John’s clinical experience provided me with the practical confidence necessary to start my own clinic in Malibu. I work closely with clients to explore their lifestyle and educate them about health and balance. I so appreciate John for all his wisdom, passion, patience, care and willingness to share his life experiences and understanding with so many! ...overlooking the ocean in Malibu, California. John Holmstrom is a past president of the California Association of Ayurvedic Medicine. He is a 'Practitioner Member' with the National Ayurvedic Medicine Association. John Holmstrom has developed a line of 40 herbal products. Solarheart and Earthheart Alchemy herbal ojazz tinctures address major health imbalances. They are designed to balance the elements, tissues, organs, and channels of the body. The detoxification treatments work to remove metabolic wastes from all the body organs, tissues, and systems. John Holmstrom founded the non-profit Shivalchemy University Of Classical Ayurvedic Medicine at the Golden Bridge Yoga Studios and Amrit Davaa Wellness Clinic. In March 2009 the Shivalchemy University of Barefoot Ayurveda began offering three 1800-hour degrees in advanced ayurvedic training. For a consultation or for a detoxifying sequence or to learn more about workshops, herbs and Ayurveda, visit John Holmstrom's website Ayur-Tao Alchemy -- you can email John from his site at "contact" in the top bar. Return To Quick Good Fortune Home Page -- or return to Live the Dream. and prevent disease with nutrition."